Gilmorton Storage have a wide range of containerised storage in Corby available for hire. With many sizes, we can always discuss your needs and find the best option for the items you would like to store and how long you require containerised storage for. You will always receive advice from our team and an affordable option for your needs. In addition to our containerised storage, we also have workshop space and self-storage units available for hire. This is spread across our 10-acre site, allowing you to choose what storage space you require, without any limit on the space you can use. Our storage is also usable for many items, giving all clients the choice to use it. Large vehicles can always be kept in here so if you do not require them on a regular basis but would like easy access to them when having no space around your property, our containers offer a suitable solution. In addition to vehicles, they can also be used for smaller items, whether you would like belongings boxed up and stored or would like to place items such as furniture in here. Containers will always be kept dry and clean in order to retain the condition of all items. Across our 10 acre site, we also have storage units and workshop space available for hire. If the containerised storage is too large for your needs or doesn’t give you the workspace you require, these options also come at very competitive prices. 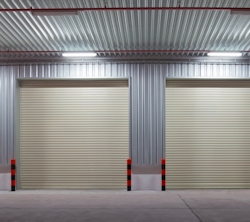 Our storage units sizes start at 600 square ft, going up to 2,500 square ft, giving you plenty of room to both store items or use the space for business needs. Whether you choose containerised storage or would like to hire workshop space, you are always assured of storage in the best condition. We maintain all our facilities to give you the highest standard of service and make sure all storage is suitable for your items, no matter what you choose to store. 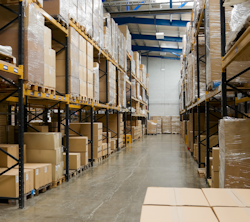 With easy access to containerised storage, you can also access items whenever you require to remove or store new items within the storage space. 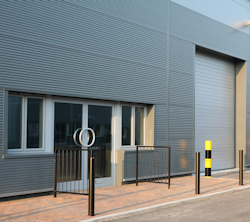 Our storage facilities also have fantastic security with a fully fenced perimeter. In addition to this, we have CCTV, high-level lighting, single point of access and a warden and guard dog to offer 24-hour security all year. Corby is a large town and borough located in the county of Northamptonshire. With a population of over 61,000 in 2011, Corby actually has the fastest growing population in the whole of England and is now the third largest town in Northamptonshire. Being located nearby to the A43 and A14, this makes our storage facilities the perfect location for all clients in Corby who require containerised storage or other storage space. There are several points of interest located throughout Corby which make it a popular area for locals and visitors. Some of the most famous landmarks located in the town include Rockingham Castle, Kirkby Hall, East Carlton Country Park and Fineshade Wood. There are many other fantastic areas you can visit, as well as places to stay and eat. Gilmorton Storage are located just short a short drive from both the A43 and A14, as well as many other main roads, making our containerised storage in Corby the perfect option for all clients located here. We aim to be the first choice for all storage space in Corby, offering a fast response to clients here when hiring any amount of storage. Gilmorton Storage is a family run business offering affordable storage solutions for both personal and business needs in Corby and the surrounding areas. With a huge selection of sizes available for both workshop space and containerised storage in Corby, we can always meet your requirements and advise you on the best option that fits within your budget. Since being established, we have built a fantastic reputation working with clients from Corby and many other areas. With our storage always being in great condition and our team offering a personal service and fantastic prices, we want to continue growing this reputation and our client base, leaving you fully satisfied. We have both long term and short term contracts available for our clients, allowing you to hire for as long as necessary, without any delays when moving items into storage. If you would like to hire containerised storage in Corby, do not hesitate to contact Gilmorton Storage. We can organise hire quickly and discuss a number of storage solutions with you to ensure the best option is always found. 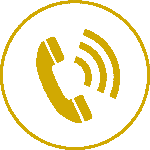 Hire today and call us on 01455 209 209 or 07815 013 883 or fill in our contact form to make an enquiry and get a fast response.